Having had lots of fun running QRSS on both 30m and 40m I decided to try another band so a few weeks ago I ordered the 80m QRSS kit from QRP Labs and it was almost completely assembled within an hour of me receiving it – I documented that in the blog post here. 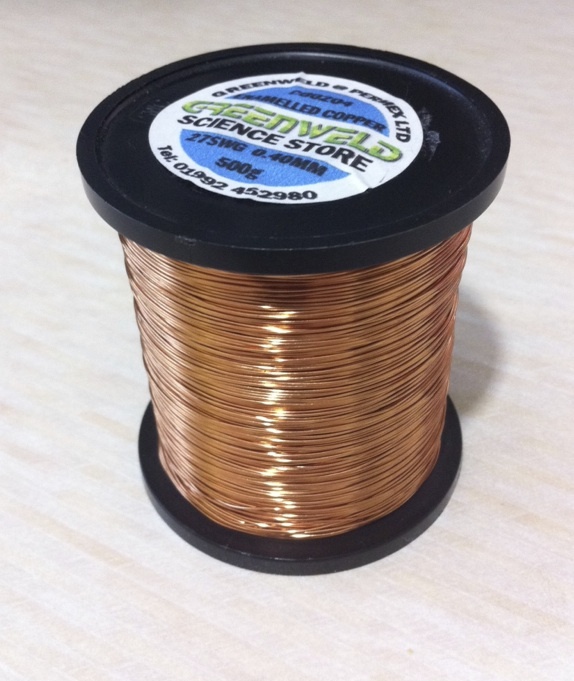 It took a while for me to pick up some suitable wire to wind the coils and I ended up with a nice half kilo reel of it so I’ll never be short again! 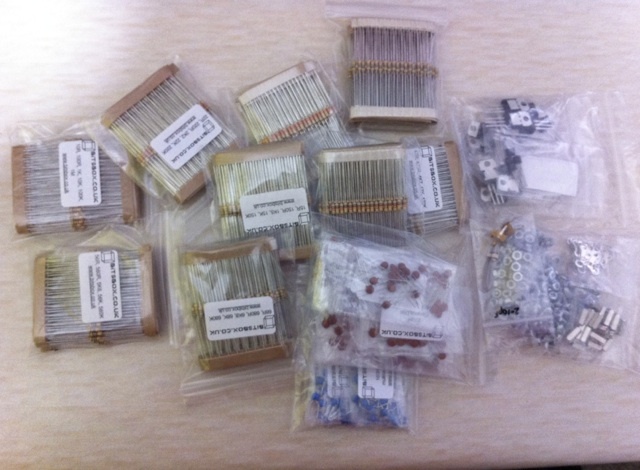 I’ve also done some shopping at Bitsbox and have this little lot all ready to go in the component rack. Anyway, I finished off the 80m QRSS transmitter yesterday having done a mod to it in order to get it on frequency and enable easier tuning – This consisted of removing the 2-25pF trimmer and replacing it with a 2-10pF trimmer and a 3.3pF ceramic capacitor in series. I’ve not boxed it up yet because I wanted to make sure it worked before I went further. I put it on air and posted to the Knights QRSS list and within a few hours I’d received some captures by email. 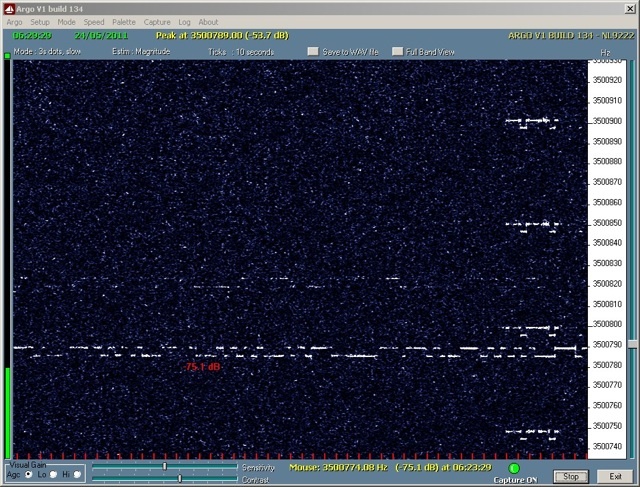 The first one was from Colin, G6AVK who produced a really good trace – He’s not far away from me so it’s not surprising my signal was so strong. 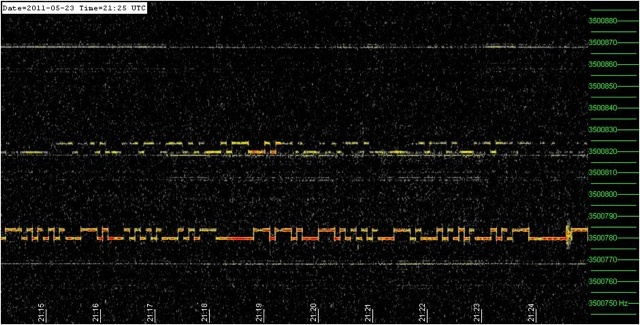 I think this is one of the best captures I’ve seen of my callsign on QRSS since I started playing around with the weak signal propagation. The next one was from Andy, GJ7RWT – It’s not as strong as Colin’s but it’s still a recognisable trace of my signal down in Jersey. 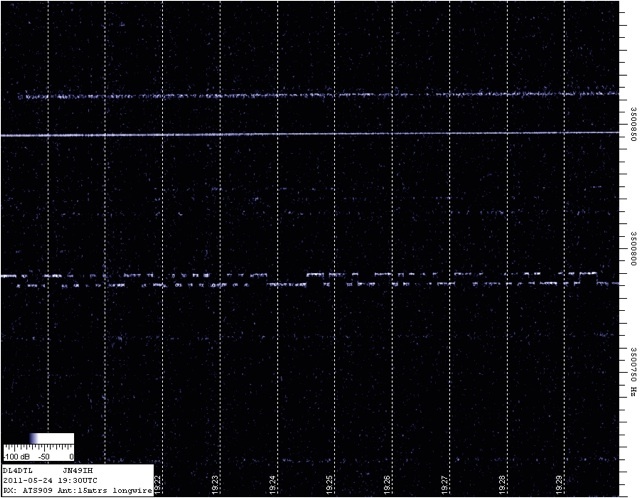 Overnight I received a trace from Vern, VE1VDM. This is barely a trace but it’s definitely my signal, you can just about read the 6NHU below the red signal strength text. 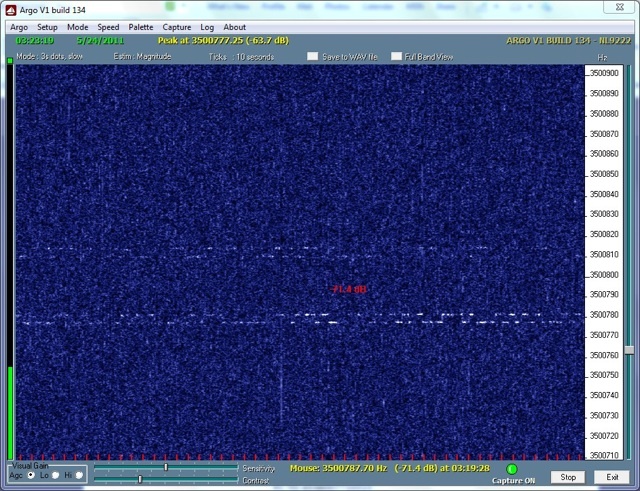 Finally I’ve had a capture from Maik, DL4DTL in Germany where I’m quite a good signal on his grabber. The next job is to get it all boxed up – Not sure when I’ll get a chance to do that as I feel I have a busy weekend coming up. 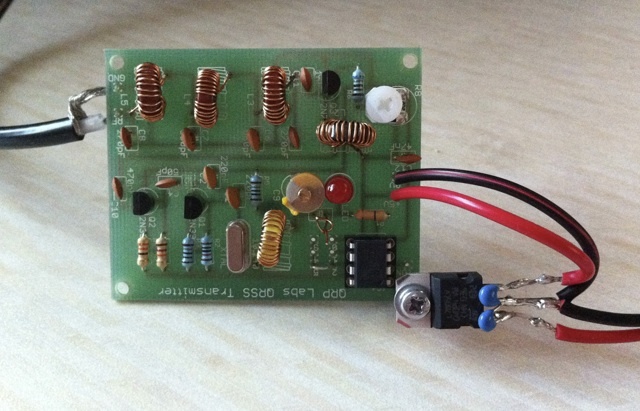 This entry was posted in Amateur radio, Construction, CW, HF, QRSS and tagged Hans Summers, QRSS, QSO365. Bookmark the permalink.